Recents reports suggest that Sony will be discontinuing the 3G version of the PS Vita. Joystiq reports widespread price discounting of the 3G version (down to $199.97), which gets you a 8GB memory card and a free game (after signing up for 3G Internet access). If true, it’s hardly a surprise since only a handful of games work exclusively on the 3G version. It’s also quite expensive compared to the Wi-fi version, and doesn’t really offer any additional benefits except for Internet access over a mobile network – which required additional subscription. 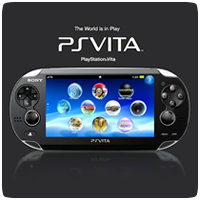 The 3G Vita recently received a price drop in Japan (to ¥19,980, roughly £140), which has boosted sales of the console. Sony has yet to make an official announcement regarding the issue, so we’ll have to wait and see if the rumor is true.